CORE studio developed forensic information modeling (FIM) as a tool for Thornton Tomasetti’s Forensics practice. 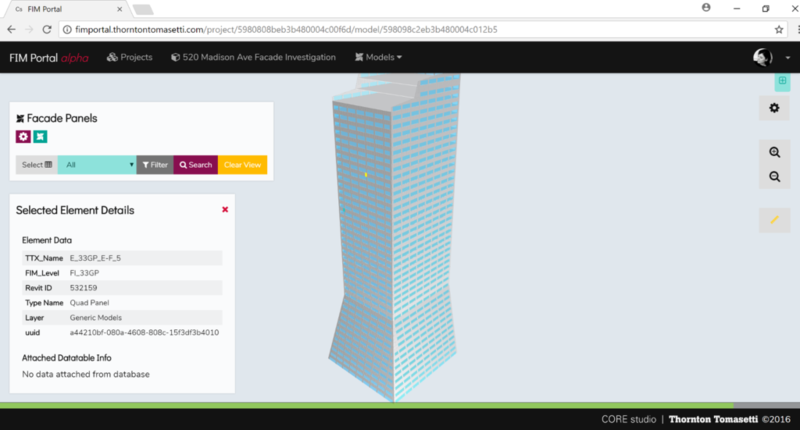 A mashup of BIM models, location-specific data, supporting imagery and documentation, FIM is a fundamental way to manage and analyze data in a 3D or 4D graphical model. Over the past 10 years, forensic information models have been developed for projects ranging from large infrastructure investigations and façade evaluations to mechanical system due-diligence studies. One of the earliest FIMs was developed for Thornton Tomasetti’s investigation of the I-35W Bridge collapse. An interactive computer model of the bridge allowed engineers to catalog and review more than 50,000 documents and access information on each component. The FIM Portal is a flexible, readily accessible web platform that allows large volumes of technical data to be comprehensively organized and visualized. It can easily produce project-specific interfaces. The FIM Portal website provides access to typical FIM features, facilitating the development of FIMs and streamlining their delivery. Files and documents are linked to 3D models or maps for easy retrieval, keyword queries, and statistical analyses. Through its easy-to-use database filters, the FIM Portal creates custom views of case-related data, enabling clear, persuasive communication of complex technical issues. Enjoy enterprise-level security and authentication. Users can sign in and view/edit project data on any device with a web browser. Share projects securely with colleagues and clients. Colleagues with edit permissions can edit project data concurrently. Clients with view permissions can interact with FIM models, but may not edit or delete content. Upload files such as photos, DWGs, PDF reports and Word documents, and link to them from table, map or 3D model views. Create SQL-like databases for projects online. Upload batch entries from csv files or enter/edit data in the web user interface. 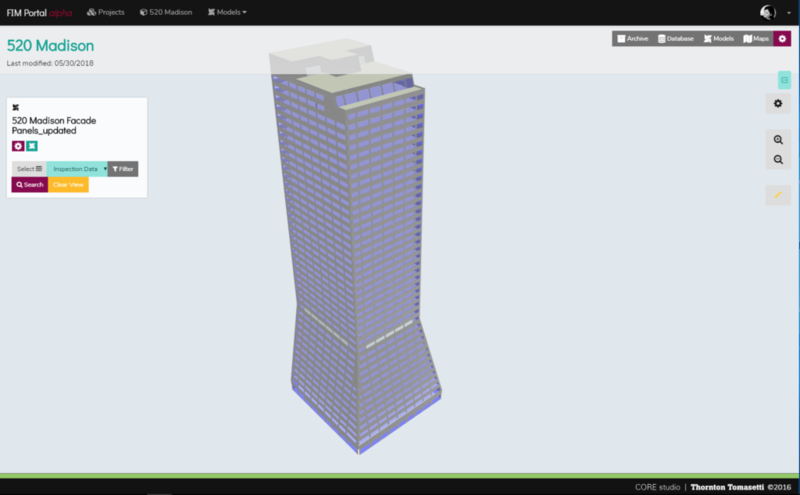 Upload BIM models from Revit; view and navigate 3D models in the web browser – no plugins required. Model elements can be linked to data entries in the project database. Create maps or upload GIS files to view online. Map elements can be linked to rows in the project database. 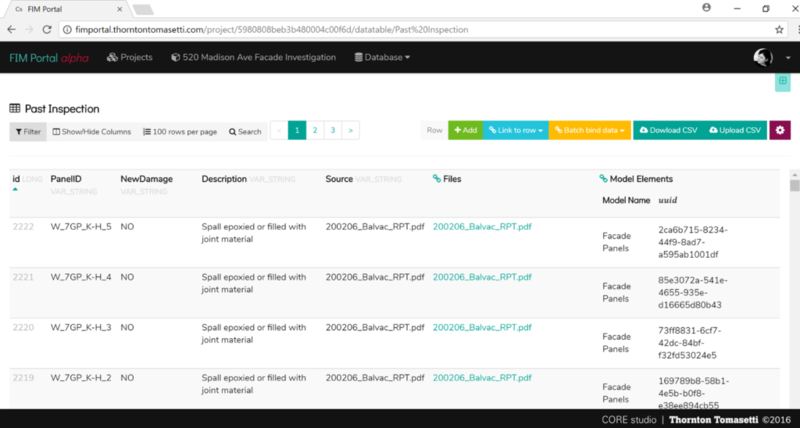 Link documents in the document archive to elements in the project database. Link 3D model elements or map features to database elements. This is the “glue” that allows you to build associative FIM models. Cull the data based on project-specific queries. 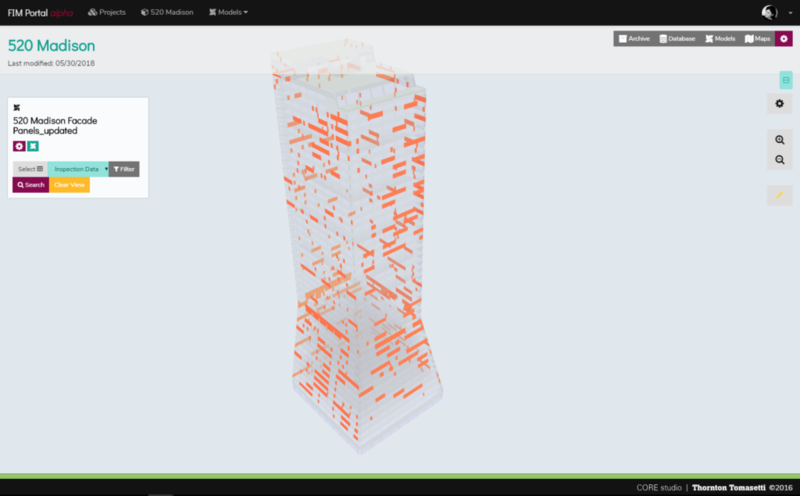 Filtered views of project data can be applied to map and 3D model views as well.